Whether you have been involved in several business ventures before or this is your first rodeo, a professional business plan is always a great first step when you’re ready to invest in your own time, skills, and experience. Much like a cover letter or a resume, a business plan lets people know what you’re all about. And, just like that cover letter, a business plan could either make or break your idea in the eyes of many. Creating a professional business plan is essential for a wide range of reasons. 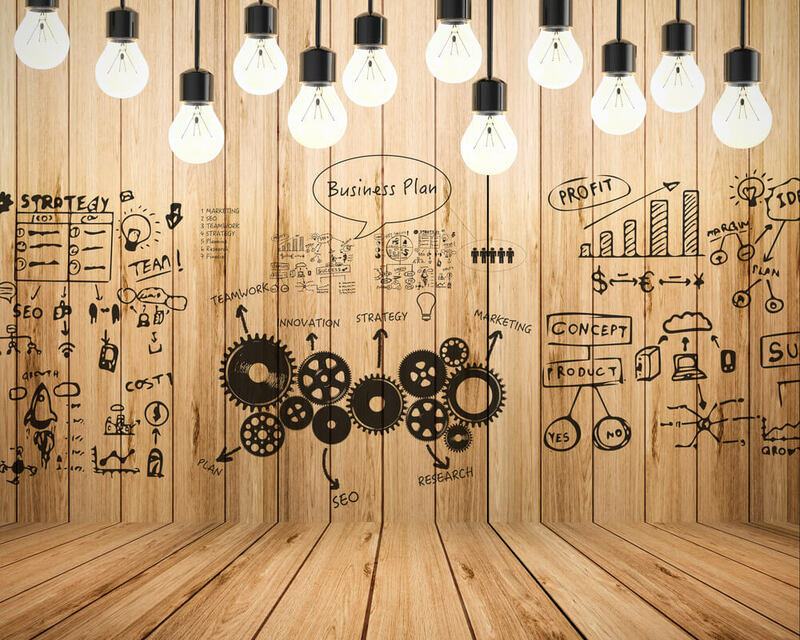 Before you go out into the world and look to take on the titans of your industry, you need to create a business plan. Not sure how to start? We have got you covered! Before you jump into creating a business plan you should understand why you are doing this. After all, just going through the motions of creating a business plan is not why you are doing this. First, creating a business plan is often essential to get any form of lending if you require it. Banks and investors want to see some sort of business plan before they give you money to carry out your vision. Most importantly, you want your business plan to stand out on their desk. Why would they invest in your business over the dozens of other businesses also looking for funding? Next, a business plan allows you to identify flaws or weaknesses. No one has ever created the perfect business. Apple, the most valuable company in the world, was almost bankrupt at one point. While you cannot predict everything that could affect your business, you can identify challenges through the process of creating a business plan and create solutions before you put time, money, and effort on the line. Finally, part of doing a business plan forces you to look at the industry you plan on entering. Who are your competitors? What makes your vision different from theirs? Why will your business be successful? In creating a business plan, you must answer some difficult questions but your business will be stronger for it. They say, first impressions are important and that’s definitely true for a business plan. Your cover page, table of contents, and summary are the pieces that will greet the reader and help them decide whether to continue reading or move on to the next proposal. The first section of your business plan is actually the final piece you work on. Essentially, you are summarizing what the reader is about to see without getting too deep into the details. Think of it like a movie trailer for a blockbuster movie. People want to know what they’re getting into but they don’t want every detail spoiled. An executive summary is very important. This is like the cover letter for your business plan. It allows you to showcase your own personality and provide a vision for your business. Once you have hooked the reader and convinced them to read further, it is time to introduce your business in more detail. This is where you dive into what your business does. Include pieces like the industry your business operates in, the structure of the business, and even the mission statement. If your business has been operating for some time already then you may wish to outline how long you have been in business and a brief history of the business. This section is also a great area for introducing any team members and their experience. By now, investors know who you are and what your business does. Of course, now they want to know who your business is going up against. This is where you offer an unbiased look at the industry including the competitors that you will be competing with. First, you will need to introduce the industry in general. Discuss the size of the industry in dollar figures. If your business will be only operating in a single country or state, then you may wish to break those numbers down even further. If you are looking to take a piece of the pie then investors or lenders will want to know how big the pie is. After you have analyzed the size of the industry, you will want to look at the trends. Is this industry rapidly growing or remaining stagnant? Are there political or cultural forces at play that could affect the industry? Try to find expert statistics to justify your points. For example, if you were starting a self-driving car business you could say that the industry is expected to grow to as much as $77 billion by 2035 with information to support your claim. You have identified the industry, the competition, the potential for the market, and introduced your business. Now, how will you operate your business in order to earn yourself a piece of the pie? This can be broken down into multiple sections if needed. You may want to include financial statements, operational plans, marketing plans, and a financial plan for the money you are seeking or investing yourself. Wrap everything up with a conclusion page and thank the reader for their time. Your business planning is complete. Now, it’s time to actually get down to work! Creating a business plan can be a long, difficult process for some. This is especially true if you are already neck deep in the operations of the business. At Mooney Lyons, we have helped countless businesses, old and new, create business plans to secure funding. We can help you through every step of the business planning process to ensure you put your best foot forward. Contact our business experts today and see how we can help you take your business to the next level. The opinions voiced in this material are for general information only and are not intended to provide specific advice or guidance for any individual.